Alio Die. Discography. Music. Albums. Tracks. 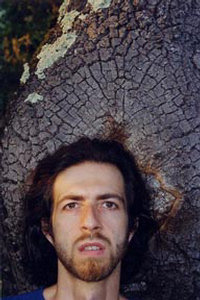 Stefano Musso (Alio Die) studied art and electronics in his home town of Milan, Italy, and began performing ambient, electro-acoustic music under the name Alio Die in 1989. Characterized by evocative acoustic sounds manipulated and tendered electronically, Alio Die's work builds intimate soundscapes tied to the mystery and majesty of life and nature. Natural and acoustic sounds and selected noises, electronically treated and reworked, are integrated in a meditative and spiritual context that often, in the feeling, becomes close to a prayer. Visible static, this music is rich of hidden sounds, layers of elements to discover at each listening. Alio Die's music, in the consciousness space that creates, it's a melting of technology and mysticism, like a new ritual with echoes of a medioeval time, deep and grounded in introspection.